Stairlifts Birmingham Extra Are Partners with Top Brand British Stair lifts Manufacturers. Straight, Curved & Reconditioned Stair lifts. Next Day Stair lift Installation in Birmingham Possible. Call 0121 752 9147 Now for a FREE no obligation survey And quote In Birmingham. There are many options for stairlifts, so you don’t have to worry about finding one to fit in your home. Some stairlifts can accommodate narrow stairs, standard stairs as well as curved stairs and homes with landings between sets of stairs. There are even stairlifts for outdoor use, so you don’t have to worry about getting into your home. Straight stairlifts are ideal for one set of inclined stairs. You will be taken directly from Point A to Point B. 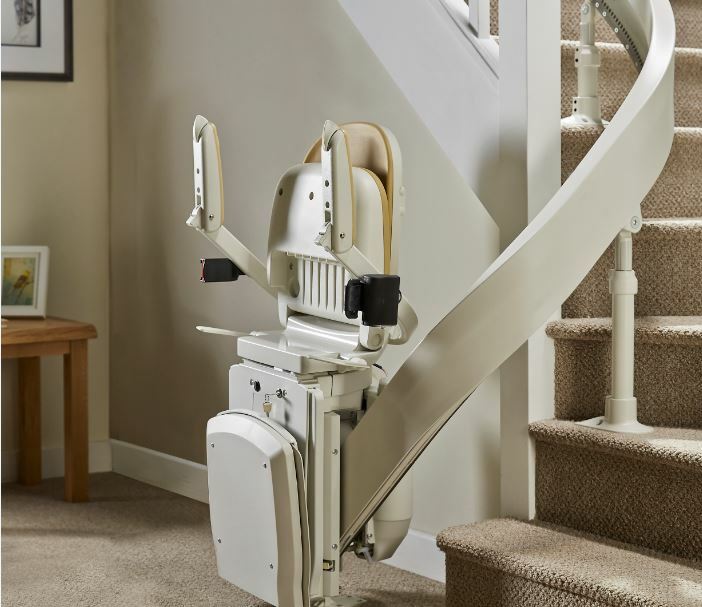 These stairlifts are simple to install and use. They are efficient and comfortable, providing the user with a pleasurable experience. Curved stairlifts are perfect for homes with multiple sets of stairs or curved stairways. These are custom made, so they will perfectly fit your set of stairs, Curved stairlifts are just as safe and practical as a straight stairlift. It will glide along just as smoothly. 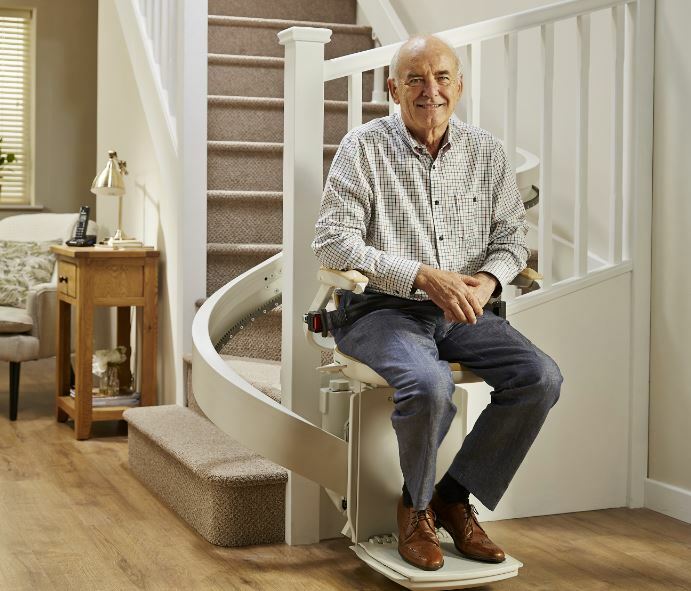 Hiring a stairlift is simple. To take advantage of the rental scheme, it requires a one-off payment to cover the administration, installation and subsequent removal of the stairlift. From then on, there will be a set monthly fee for the duration of your rental. You can rent both straight stairlifts and curved stairlifts. Stairlifts have been around for many years. In the early 1500s, it is believed King Henry VII had a system of pulleys and cables to assist his movement between floors. During the 1900s, people began searching for a way to help those with physical ailments travel freely about their homes. 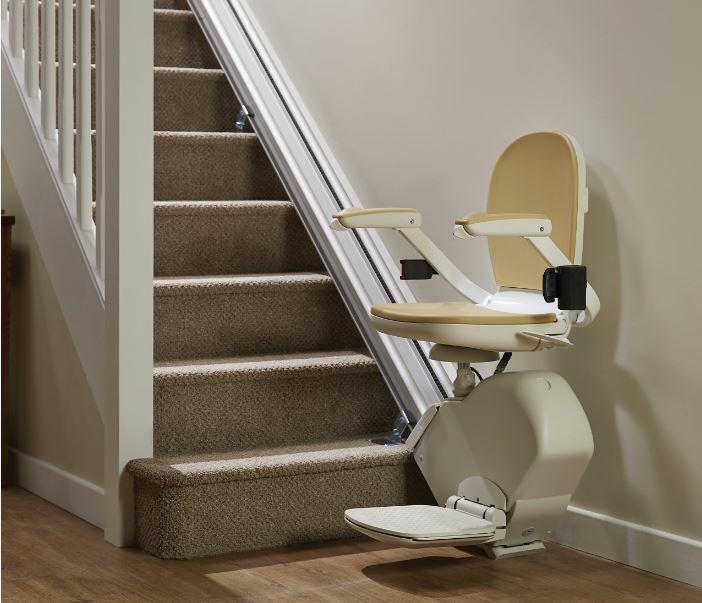 The prototype for a stairlift was put together, and from there, stairlifts have just continued to evolve. There are now several stairlift suppliers. What is a stairt lift? 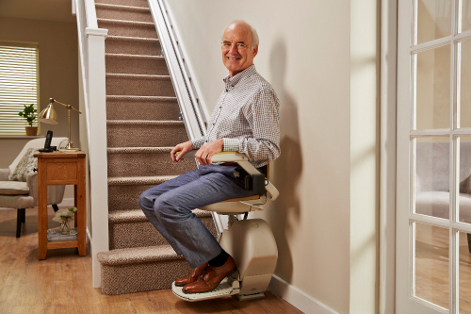 A Stairlift is comprised of a rail with a seat on top that glides along the rail. Any person can be able to sit on the seat and buckle in for safety. With the simple push of a button, the device will then carry them up or down the stairs and securely deliver them to the desired level..
A single touch of the hand remote activates the stairlift, and you will be transported up or down as you desire. Some of the stairlifts have ‘summon’ buttons to call the stairlifts up or down as required. Most stairlifts have inbuilt safety features such as swivel chair that faces away from the wall as it goes up or down the stairs. There is another inbuilt safety feature of automatic sensors which abruptly stops the stairlift if it comes across any obstruction including the individual’s foot. The safety belt, swivel seat, remote and ease of use have made stairlifts an integral part of the seniors and disabled peoples lives. Stairlift engineers work hard ensuring that supplying and installing lifts are doing to a high quality standard. Rising fuel bills make a lot of people conscious of the energy efficiency of some electronic items in the home. Luckily there is good news here as the majority of lifts cost pennies to run rather than pounds. Daily costs are similar to the same electricity amount that you would use in boiling a kettle. Both new and reconditioned (used) options would have a 1-year guarantee. The choice is yours as to whether you mind if it is second hand or not. So you don’t have to worry about any potential stairlifts repairs. Stairlifts can bring happiness and give the user peace of mind. There is no need to struggle or watch someone you love struggle to move about their home. Many choices are available helping you find the perfect fit for yourself, a friend or a family member. Call 0121 752 9147 To get free advice from a UK stairlifts company and get your self informed on which stair lift is right for you.